Join Us At Private Screening of Avengers: Infinity War! 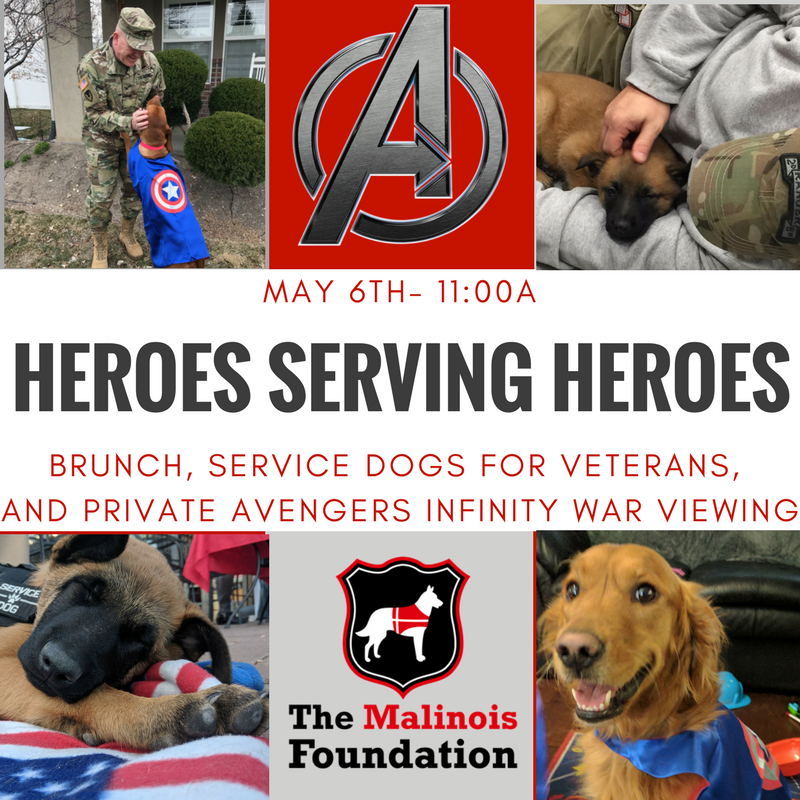 The Malinois Foundation and Mark Miller Subaru would like to invite you to join us Sunday, May 6 at 11 a.m. for a Private Screening of the Avengers: Infinity War movie at the Megaplex Luxury Theatres At Cottonwood. Tickets include brunch, a raffle and the anticipated Avengers sequel movie. All proceeds will go directly toward the match of a service dog with a very deserving military veteran. Older PostJeff & Marshall To Unite April 2nd!